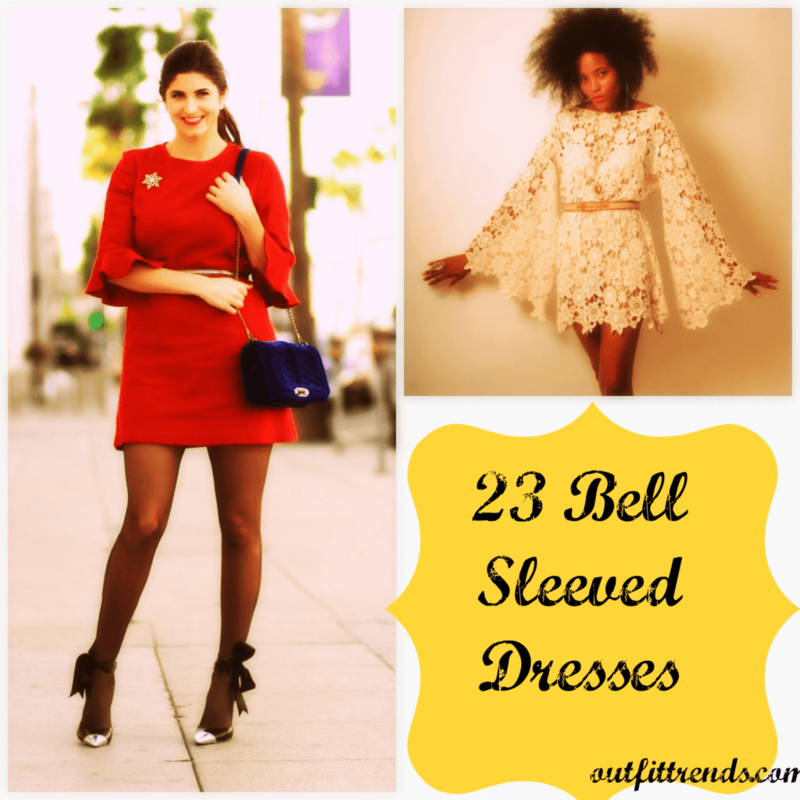 How to Wear Bell Sleeve Dress: If you are reading this article right now then you are interested in finding out how to dress up yourselves beautifully in the 70s inspired fashion which has made a huge comeback and is going to stay as the main stream fashion for some time now. Yes, the bell sleeved dresses and flared pants are a hit trend this season and you should invest in a few quality pieces if you are a little fashion forward. It is not easy to pair flared sleeves with your everyday wardrobe or sometimes it is not pleasing to the eye if you wear it in the wrong manner, as people are always interested in how fashionistas are styling themselves with new trends. That is why we have collected a few ideas of outfits with bell sleeves which we hope you will find interesting and will follow. You can chooses from cropped tops, to patterned dresses to shift dresses to pants or even more. Go through this article and you will be amazed at how easy this trend if to follow. Hipster dressing is now very common and people tend to follow their own sense os style. This embroided t-shirt dress is very classy paired with over the knee boots. Shorts are every girls fashion statement in summers. This baby pink short is looking gorgeous when worn with cut off shoulders bell sleeved top. A vlittle flare should be adopted by each one of you as it gives an opportunity to dress riskily. Huge flared sleeves with skinny pants are a go go worn with heels and a statement fringed bag. #20. Off the Shoulder Bell Sleeved Top for Holidays – Going to the beach or on vacation. Off the shoulder top are a must have. Put on your printed flared pants with plain top and bell sleeves. Going to a semi formal lunch date? Wear you blazer with matching shorts and a plain white top. Heels are a must have for any event. You can wear your regular white collared flared sleeves shirt to the office if paired with cigarette pants. Large women should not think that they cannot do every fashion. This beautiful red dress looks gorgeous. Just remeber to wear plain and elegant outfits. Dont mix and match too much. Going to a picnic in summers? Wear this flowy peice and rock your world.